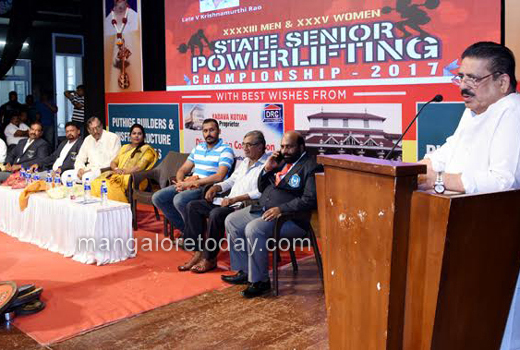 Mangaluru, June 10,2017 : Mayor Kavitha Sanil displayed her mastery over power lifting by lifting 100 kg weight during the inaugural of the XXXXIII Men and XXXV Women State-level Senior Power lifting Championship at Town Hall here on June 10, Saturday. 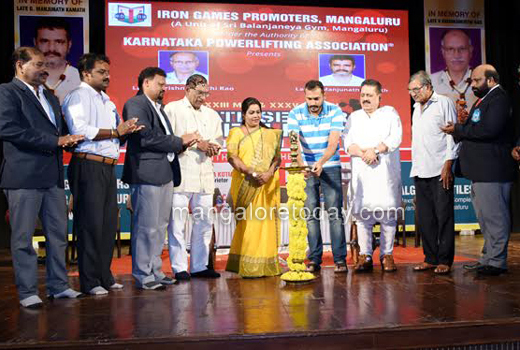 The event has been organised by the Iron Games Promoters in association with Karnataka Power lifting Association. 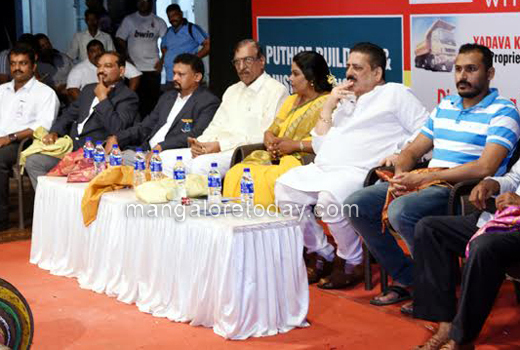 The Championship was jointly inaugurated by the Mayor and Ananthamurthy Rao. 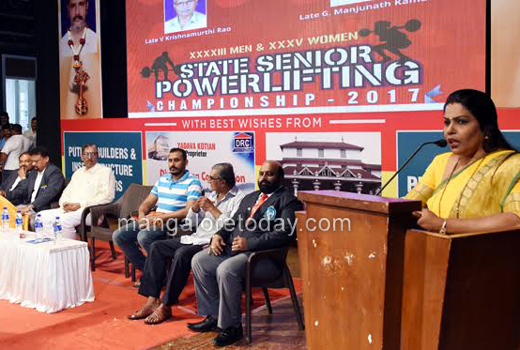 In her address, the Mayor said all games should get importance just like cricket and pointed out how power lifters and other sports men have to struggle to arrange for funds to participate in competitions. She also sought government encouragement to power lifting and also measures to include power lifting in Olympics. 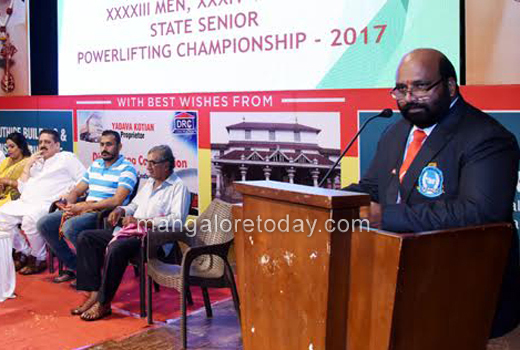 A Sadananda Shetty, President of Karnataka State Power lifting Association, Satish Kumar Kudroli, its Secretary, Iron Games Promoter Tejomaya, veteran power lifter Tulasidas Kulur and others were present at the inaugural ceremony.